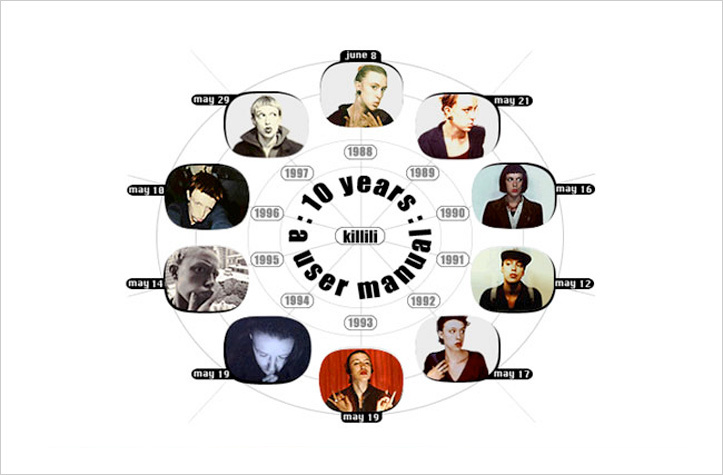 The website utilizes the Internet to store, organize, and display about 10 years of autobiographical information entered in a database. 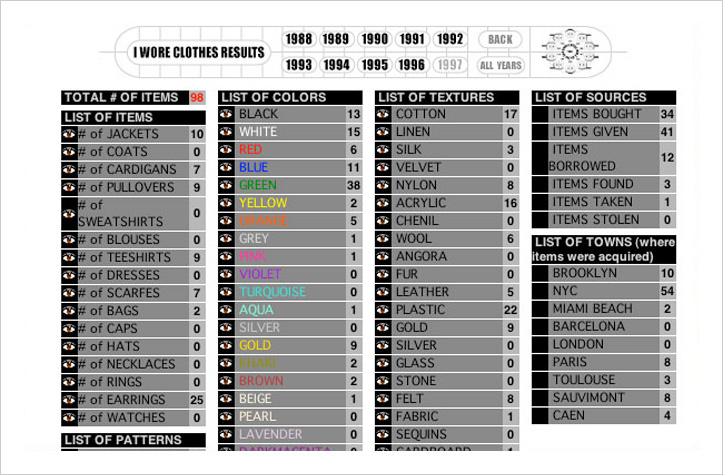 Through the interaction with the data, the personal stories, and the subjective ratings, the site creates an ironic scientific study that reveals the poetry of mundane facts and their dramatization through processing and statistical representation. Presented at ACM MM Arts Program in Bristol, UK and at SCAN Arts Symposium in Philadelphia. 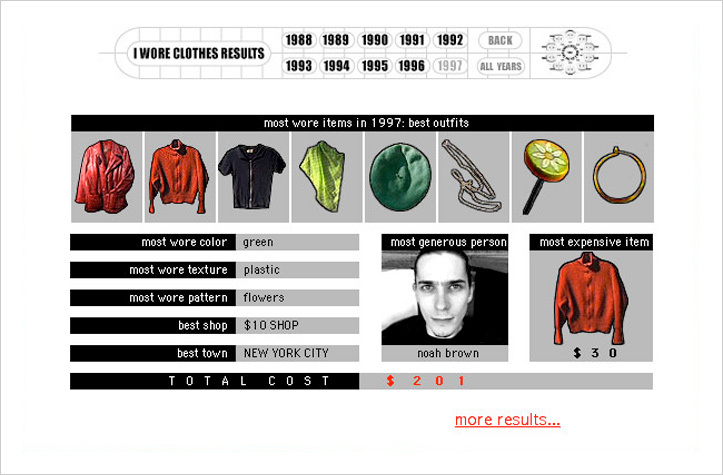 "I wore clothes" is a sub-section of the site detailing all items I wore every year for a month over a period of 10 years. 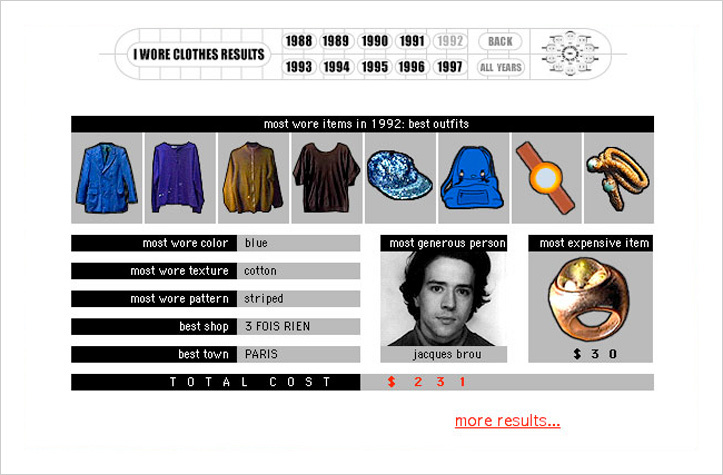 "I wore clothes results" is generated by the database of autobiographical informations, listing every results. 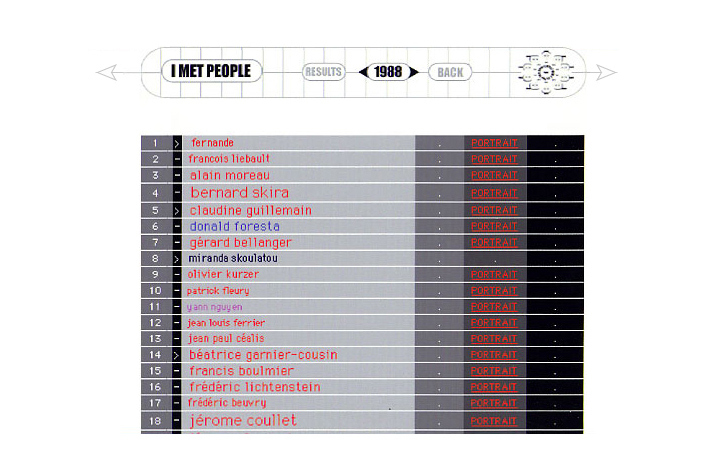 "Questionnaire de Proust", sample, each person listed in "I met people" answered the questionnaire. 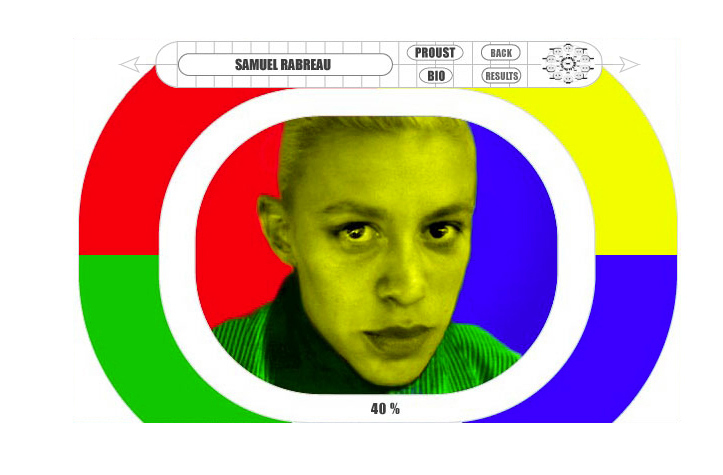 "Samuel Rabreau", Portrait sample. 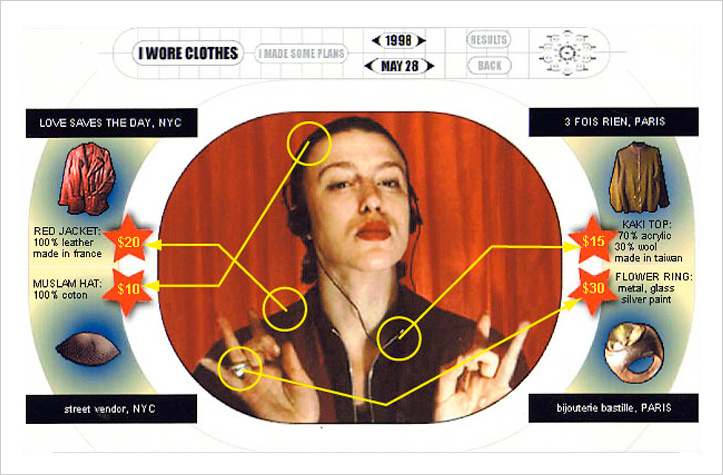 Each person listed in "I met people" has a corresponding portrait morphed with the artist depending on their closeness. The color(s) result from the response in the questionnaire. 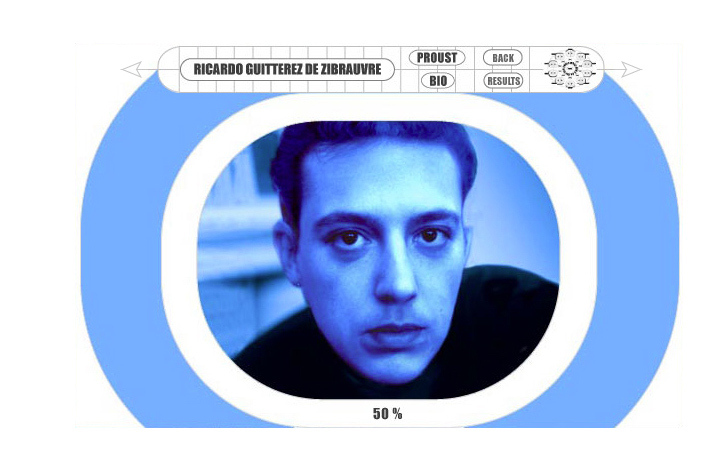 "Ricardo Guitterez De Zibrauvre", Portrait sample.